***NOT AVAILABLE VERY OFTEN*** A HOME IN SOUGHT AFTER CANTON HILLS SUB! 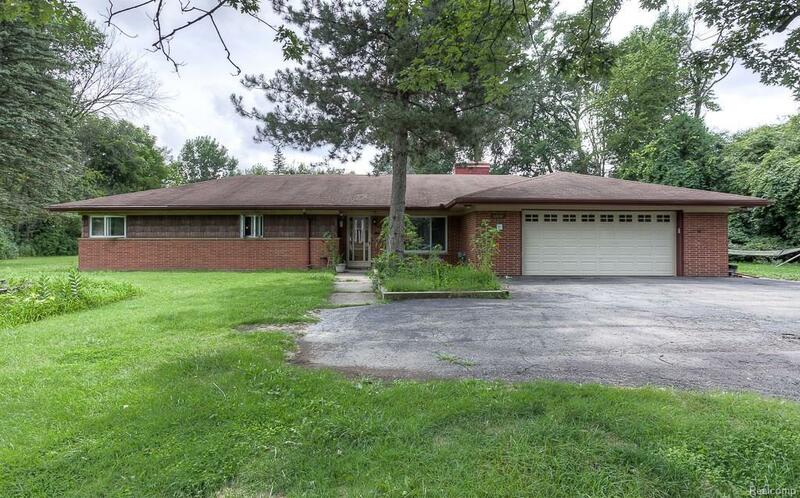 ON A QUIET SECLUDED STREET SITUATED ON JUST UNDER 1 ACRE OF LAND, THIS 1800 PLUS SQUARE FOOT BRICK RANCH OFFERS YOU 3 BEDROOMS, 2 FULL BATHS, 2.5 CAR ATTACHED GARAGE, LARGE COVERED PATIO IN BACK YARD - GREAT FOR ENTERTAINING! SECOND PATIO RECENTLY ADDED FOR ADDITIONAL SPACE, NICE SIZE LIVING ROOM, EAT-IN KITCHEN WITH PLENTY OF CABINETS AND COUNTERTOP SPACE, FLEX ROOM CURRENTLY USED AS FAMILY ROOM, NATURAL FIREPLACE, SEPARATE LAUNDRY/UTILITY AREAS, EXTRA WIDE FRONTAGE, ALL BEDROOMS GENEROUS SIZE, EXTRA DEEP LOT, AWAY FROM THE CROWDS ON A QUIET STREET WITH LITTLE TRAFFIC, MANY EXTRAS, CALL TO SCHEDULE A PRIVATE SHOWING TODAY!